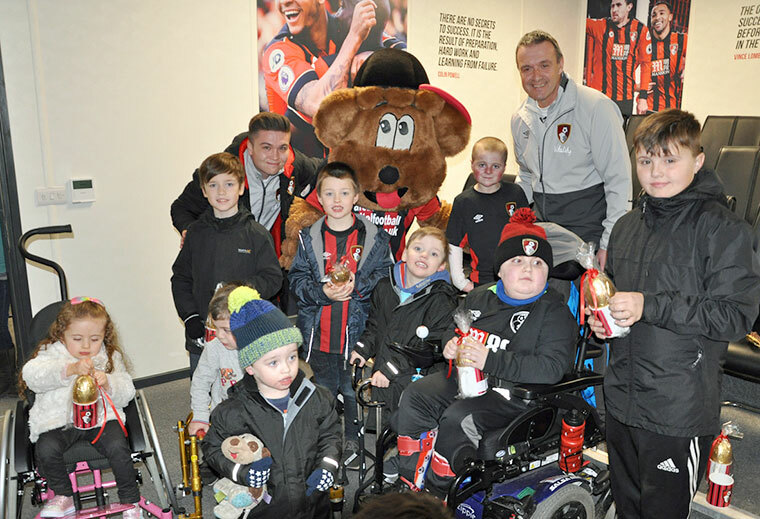 AFC Bournemouth invited children from Dorset Children’s Foundation (DCF), one of the club’s chosen charities for the 2017/18 season, to the Vitality Stadium for an egg-citing time. Volunteers, parents and children of one of AFC Bournemouth’s chosen charities for the 2017/18 season, DCF, enjoyed a tour of the Vitality Stadium training ground, the players’ lounge, boot room and the pitches. DCF is a grant-making charitable trust and fundraising charity which gives bursaries to disadvantaged students, grants to community groups and support to older people who are living in fuel poverty. Head of community Steve Cuss was on hand to explain the different areas of the players’ pavilion, and the children were encouraged to ask questions about the club and its Premier League stars. Steve said, “The children were intrigued by all the players’ facilities and especially the pitch.